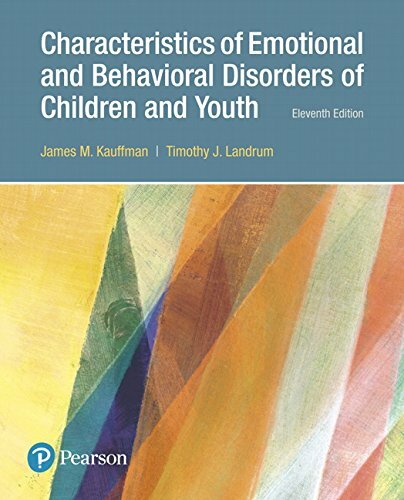 The Eleventh Edition of Characteristics of Emotional and Behavioral Disorders of Children and Youth follows the text’s long-standing reputation for trusted research, a teacher-focused presentation, and clear explanations of the concepts related to students with Emotional and Behavioral Disorders (EBD). Organized around major concepts in four logical parts, the text helps readers understand the background of EBD, the origins of behavior disorders, the types of behavior disorders, and the procedures associated with the assessment of these disorders. The teacher-focused presentation offers a sound conceptualization of the problems that students with EBD encounter and the common challenges for their teachers. Case studies,Personal Reflections, and Questions for Reflection features launch readers into self-questioning and prompt them to think critically about behavior and its contexts. This edition includes new references, new Personal Reflections, reorganized chapters for a more effective flow of content, and more detailed coverage of assessment.